The term “Brown Bros. Skip Bins” or “us” or “we” refers to the owner of the website whose registered office is PO Box 39, Avalon NSW 2107. The term “you” refers to the user or viewer of our website. You may not create a link to this website from another website or document without Brown Bros. Skip Bins’s prior written consent. Your use of this website and any dispute arising out of such use of the website is subject to the laws of NSW. These terms and conditions will apply to all Products and Services supplied by Brown Brothers Waste Contractors Pty Ltd. By accepting the quote from us and booking a bin you acknowledge and agree to the following terms and conditions. These terms and conditions form part of a legally binding agreement between Brown Brothers Waste Contractors Pty Ltd trading as Brown Bros. 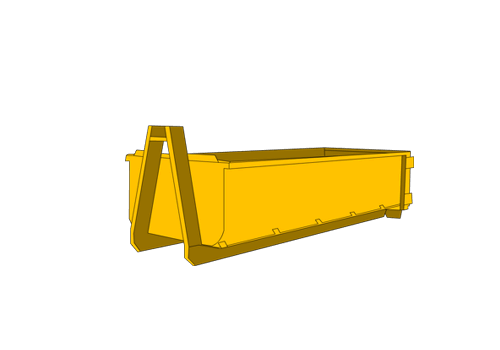 Skip Bins and you the customer who has accepted the quote, provided by us. All contracts made by Brown Brothers Waste Contractors Pty Ltd shall be deemed to incorporate these terms and conditions, no variations or addition to them shall form part of any contract unless specifically accepted by us in writing. Brown Brothers will to its best endeavor deliver and collect the bin on the date specified in the quote but may at its sole discretion deliver or collect the bin at such other times without notification to you. Brown Brothers shall so far as practicable notify the approximate time window of delivery of the skip. You shall in all cases indicate either in advance or at the time of delivery, the location on site where delivery is required and in default of such indication, Brown Brothers shall be entitled to deposit the skip wherever the Company shall deem the most suitable and convenient without any liability or responsibility to the customer or any third party arising out of the choice of such location of delivery. You will be responsible for the provision of free and suitable access and to suitable ground conditions at the site. Skips are placed and removed on/off private property e.g. driveways entirely at the risk of the hirer. Brown Brothers will take no responsibility for any damage to any surface, walls or property caused by the company’s vehicles or equipment whilst on the hirer’s premises. You will not be entitled to withhold payment by reason of any such damage. Brown Brothers reserves the right to refuse delivery to any location where the site is deemed unacceptable from a safety perspective. You must bring to the attention of the driver any hazards on the property, utility cables, manholes, overhanging trees etc. 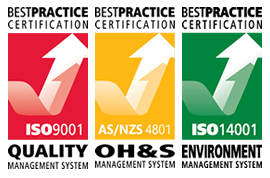 You agree that you are responsible for any Work Health Safety Laws relating to the site. 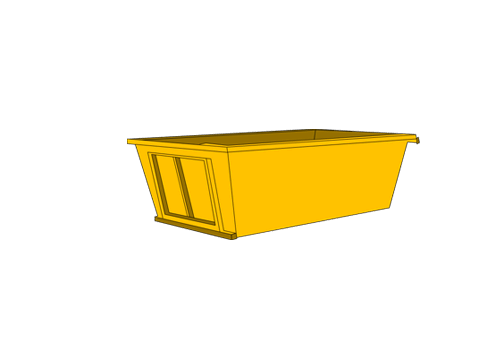 Brown Brothers will to its best endeavor provide the bin specified in the quote but may at its sole discretion substitute another sized bin for you to use. You agree and acknowledge that if the bin provided to you exceeds the bin size quoted, and you fill it to beyond the quoted amount then you will be charged for the extra waste placed in the bin. 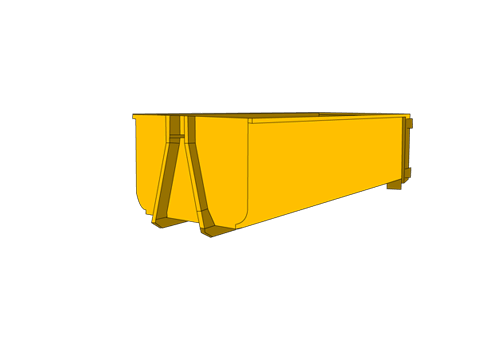 The bin or bins will be used by you for the purpose of depositing waste into and may not be used for any other purpose unless agreed to with Brown Brothers. – Place or allow to be placed into the skip any non complying waste including but not limited to, hazardous, toxic or explosive substances, corrosive materials, liquids, solvents, medical waste, asbestos, paint tyres, gas bottles, fridges, TVs, fluorescent tubes, batteries, computer monitors, E-waste or white goods, food, animal waste, liquid concrete or contaminated soil. 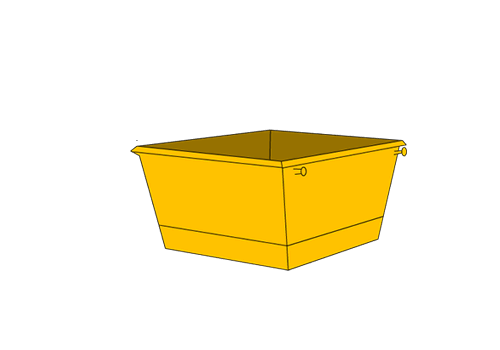 – Fill the bin higher than the top of the bin in any way that may result in spillage of waste. You shall not overload any such skip and Brown Brothers reserves the right to refuse to collect such skip in the event of overloading. You acknowledge that you will be responsible for any excess waste or spillage from the skip bin. You will be responsible for any Council permits and fees required for placing the skip bin in a Public place. You will not move any bin unless authorised in writing by Brown Brothers. You shall be responsible to ensure the bin is clearly visible during hours of darkness and complies with any local regulations. You agree take reasonable care of all skips and equipment and agree to indemnify Brown Brothers for any damage done (other than due wear and tear) to their bins and agree to pay additional fees for any non-standard cleaning that are required. You agree and acknowledge that upon the skip bin being loaded on to the vehicle you will have no claim to the waste from that time onwards. If you require an extension of the hire period you will be liable for to pay any additional fees charged by Brown Brothers including any requirements for the extension of Council Permits. Any penalties or fines incurred by Brown Brothers in relation to the bin hire due to omissions or negligence by you shall be your responsibility and will be paid within seven days of the date of invoice from Brown Brothers. You will, unless otherwise agreed in writing, pay Brown Brothers the full amount of the hire fees on or before commencement of the hire period. If agreed by Brown Brothers to pay the hire fees after the commencement of the Hire Period, you will pay all monies owed within thirty (30) days of the invoice date. If payment is not made within thirty days, Brown Brothers reserves the right to refuse to provide further services, regardless of whether further bookings for services have been made. If you default this agreement and these terms and conditions, Brown Brothers may immediately collect its bin without prior notice to you and deposit any waste in the bin on the site. It will then be your responsibility to have the waste removed and you agree to indemnify and hold Brown Brothers harmless from its claims, penalties, fees or charges that a third party may make arising in relation to such collection of the bin and depositing the waste on the site. You agree to pay any additional charges to the prices quoted if the hire period is extended and prices have increased. You agree to be responsible for any fines or penalties incurred to R.T.A. should the bin be overloaded. Force Majeure: Should Brown Brothers be delayed or prevented from performing any obligation under any agreement, including but not limited to any act of God, war, strikes, labour disputes or due to any other cause whatsoever beyond the control of the company, Brown Brothers shall be at liberty to cancel or suspend the order without incurring any liability for any loss or damage arising thereof. Brown Brothers will not be liable for any indirect, exemplary or punitive damages. We will not be liable for any economic loss or claims for reduction in the value of any asset, or any loss or injury suffered by you or any other person Our maximum liability to you for any claim in respect of any services supplied by Brown Brothers will be supplying the service again, the payment of the cost of having the bin hire service re-supplied to you or the refunding of the hire fees. You agree and acknowledge that in the event you are in default of any payment pursuant to this agreement to Brown Brothers that you will be liable on a full indemnification basis for all costs including but not limited to legal costs that are incurred by Brown Brothers in obtaining payment. Cash or personal cheques, Visa Card, MasterCard, Debit card, Bank transfer, are all acceptable methods of payment. – Cheque, you endorse the back of the cheque with the full name of the signatory, the current address of the signatory current driver’s license number of the signatory. – Returned cheques will incur a $15.00 + GST charge to cover banking fees and administrative costs. – Our terms are payment in full within thirty (30) days. Monies that remain outstanding by the due date will incur late payment interest at the rate 2% above the prevailing Commonwealth Bank’s basis rate on the outstanding balance until such time as the balance is paid in full and final settlement. We reserve the right to seek recovery of any monies remaining unpaid thirty days from the date of invoice via collection Agencies. In such circumstances, you shall be liable for any and all additional administrative and/or court costs. These terms and conditions shall be subject to the law and to the exclusive jurisdiction of the Courts of New South Wales. If at any time Brown Brothers does not enforce any of these terms or grants you other indulgence, Brown brothers will not be construed as having waived that term or its rights to later enforce that or any other term. Any document or written notice which is required to be served or delivered by one (1) party on or to another Party pursuant to or in connection herewith may be served or delivered by had delivery or pre-paid post or by electronic transmission, including email at the the last know pace of residence or business of a party. All such notices and communications shall be deemed to have been duly given or made when delivered or sent by hand or seven (7) days after posting of prepaid post. – Any other use that you authorise. – We will not sell, share or rent your personal information to any third party or use your email address for unsolicited mail. All emails sent by Brown Brothers will only be in connection with the provision of agreed services. Disclaimer Notice: The website provides information and material as a service to you. Whilst reasonable care has been taken to ensure the facts stated in the website are accurate and the opinions given are fair and reasonable, Brown Brothers, to the fullest extent permitted by law excludes all liability for damages arising our or in connection with your use of this website. This includes without limitation, direct loss, loss of business or profits, or any other direct or indirect, consequential and incidental damages. The information provided on this website is for use of a general and informative nature only. Please contact our office if you require more specific details and answers in your situation. The website may include links to third party materials. We do not monitor or review the content of other partyâ€™s websites which are linked to from this website. Brown brothers will not be responsible for the contents of any linked sit or liable for any direct loss or damage suffered by you from accessing, using replying on information or trading with third parties. Brown Brothers reserves the right to prohibit links to the website and you agree to remove or cease any link at Brown Brothers request. The following terminology applies to these Terms and Conditions, Privacy statement and disclaimer Notice and any or all Agreements. The hirer, the customer, you and your means the person or persons or entity making the booking or arrangement with Brown Brothers Waste Contractors Pty Ltd.
Website means the website operated by Brown Brothers Waste Contractors Pty Ltd.
All terms refer to the offer, acceptance and consideration of payment necessary to undertake the Company’s stated service.